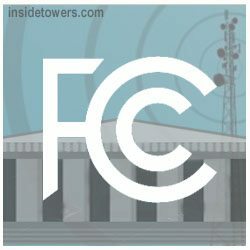 The FCC is looking for anyone interested in joining a new working group for its Broadband Deployment Advisory Committee. The Broadband Infrastructure Deployment Job Skills and Training Opportunities Working Group will help the BDAC advise the Commission and other stakeholders, on ways to make job skills training and development more widely available; the group will also make recommendations on how to boost opportunities for the broadband infrastructure deployment workforce. The BDAC’s Job Skills Working Group will identify any gaps in broadband infrastructure deployment skills that could inhibit the pace of fixed and mobile broadband deployment. They will recommend scalable solutions to bridge skills gaps and attract more skilled professionals to join the broadband infrastructure deployment workforce. The Working Group will also identify existing training programs that could be a model in addressing any skills gap issues, and steps to improve the effectiveness of such programs. Nominations for membership on the new working group must be submitted to the agency by April 15. The agency will automatically consider existing nominees for both BDAC membership and the new Job Skills Working Group. The FCC encourages individuals with experience in high-speed broadband infrastructure deployment or in training professionals involved in the deployment of high-speed broadband infrastructure to apply. Its especially seeking networking equipment installers, manufacturers, and those with trade school or university experience to apply. For more information on how to apply, read this.